You Should Look & Feel Amazing. All types of acne — blackheads, whiteheads, pimples, and cysts — develop when pores in our skin become clogged. There are many factors which can cause this to occur. 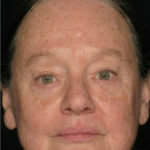 Actinic keratoses (also called solar keratoses, or AK’s) are premalignant lesions. They usually appear as thickened, scaly, or rough patches of skin in sun exposed areas. A atypical nevus is an abnormal mole; a mole whose appearance is different from that of common moles. They are generally irregularly shapen and not uniform in color. Xeroderma literally means “dry skin”. 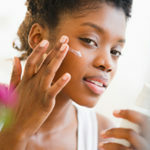 It is a condition involving the integumentary system, which in most cases can safely be treated with moisturizers and avoidance techniques. Eczema is a form of dermatitis, or inflammation of the skin. 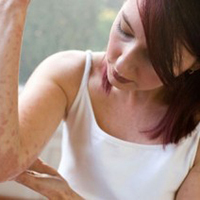 The term eczema is broadly applied to a range of persistent or recurring skin rashes. Genital warts are a contagious sexually transmitted infection. They are caused by sub-types of the human papillomavirus (HPV). Genital warts are spread through direct skin-to-skin contact with an infected partner. Eczema is a form of dermatitis, or inflammation of the skin. Although eczema is the term used to describe a range of skin eruptions, hand eczema is characterized by a red, scaly, itchy, and sometimes cracked or painful rash. Herpes zoster, colloquially known as shingles, is a reactivation of the varicella zoster virus (the initial infection of which leads to chickenpox, years before shingles develops). It manifests as a linear crop of painful blisters. Lichen Planus is a chronic recurrent rash that is due to inflammation. The rash is characterized by small, flat-topped, many-sided (polygonal) bumps that can grow together into larger plaques on the skin. It can also affect the scalp, mouth, and nails. 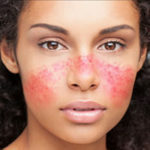 Lupus is a chronic autoimmune disease that can range from only involving the skin to a potentially very debilitating systemic condition. The immune system attacks the body’s own organs, causing permanent damage. Melasma (also known as chloasma or the mask of pregnancy) is a tan or dark facial skin discoloration, typically on the cheeks, upper lip or forehead. 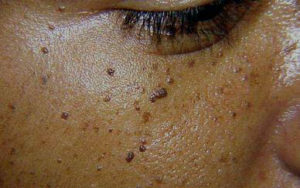 A mole, or melanocytic nevus, is a small tan to dark spot on the skin. 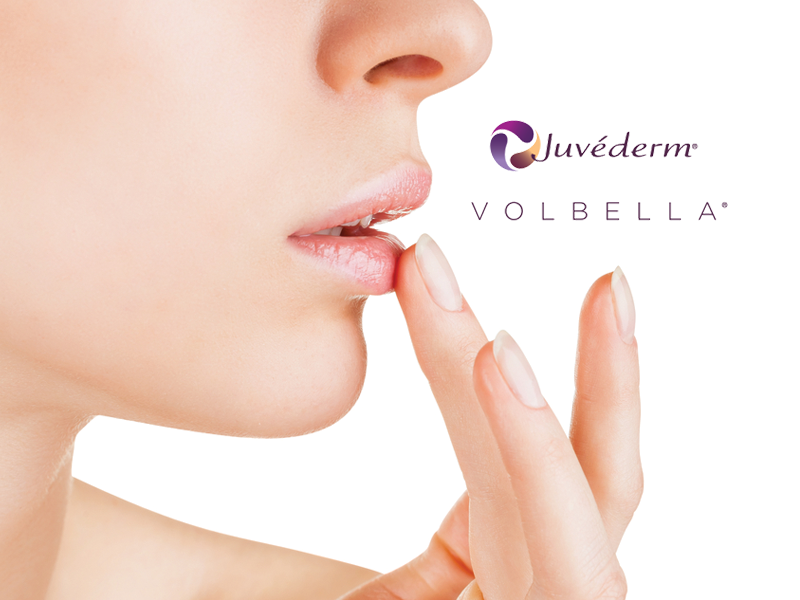 It can be relatively superficial or can involve deeper portions of the skin. 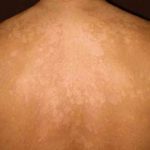 It is composed of melanocytes or pigment cells. 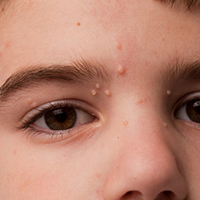 Molluscum contagiosum (MC) is a viral infection of the skin. This pox virus can spread rapidly and should be treated to avoid diffuse involvement or infection of others. Perioral dermatitis, is a condition characterized by inflammatory bumps and pustules surrounding the mouth and sometimes nose and eyes. Pityriasis rosea is a skin disease marked by pink oval patches with some fine scaling. Although its exact cause is unknown, it is thought that this non-contagious eruption is typically produced by a viral infection. 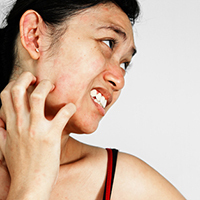 An itch (Latin: pruritus) is a common symptom associated with many skin conditions. There can be many underlying causes which need to be evaluated. Psoriasis is an immune-mediated disease which affects the skin and joints. It commonly causes red scaly patches to appear on the skin. Scalp and nail involvement is also common. 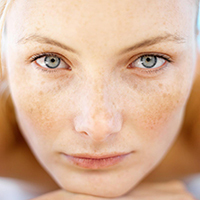 Rosacea is a common but often misunderstood condition that is estimated to affect over 45 million people worldwide. It affects fair-skinned people of mostly north-western European descent. Seborrheic dermatitis is a common, inflammatory skin condition that causes flaky, white to yellowish scales to form on oil prone areas such as the scalp, face, or surrounding the ear. Seborrheic keratoses are noncancerous (benign) skin growths that some people develop as they age. They often appear on the back or chest, but can occur on any part of the body. Tinea versicolor, or pityriasis versicolor, is a common skin infection caused by the yeast Malassezia furfur. 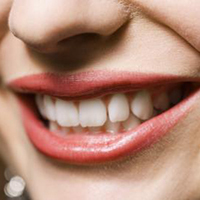 It can be easily treated, but frequently recurs during the spring and summer months. 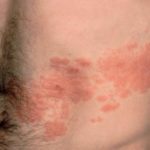 Urticaria or hives is a relatively common form of allergic reaction that causes raised red skin welts. The underlying causes are many and varied, and deserve investigation. Vitiligo or leukoderm is a chronic skin condition that causes loss of pigment, resulting in irregular pale patches of skin. 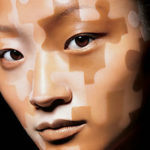 The precise cause of vitiligo is complex and not fully understood, but likely autoimmune in nature. Common warts are caused by a virus and are transmitted by touch. 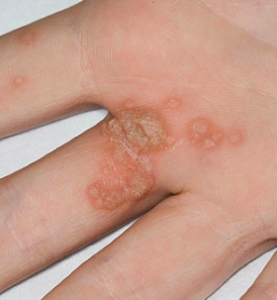 Common warts can grow on your hands or fingers. They’re small, grainy bumps that are rough to the touch. They’re usually flesh-colored, white, pink or tan.